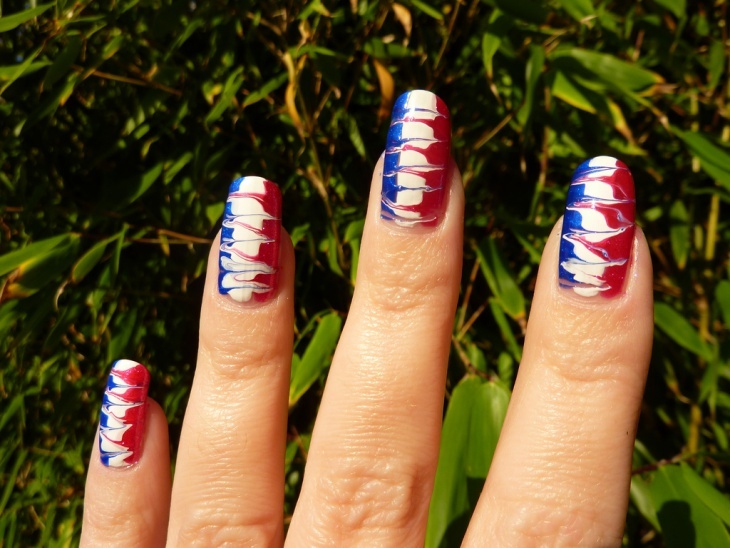 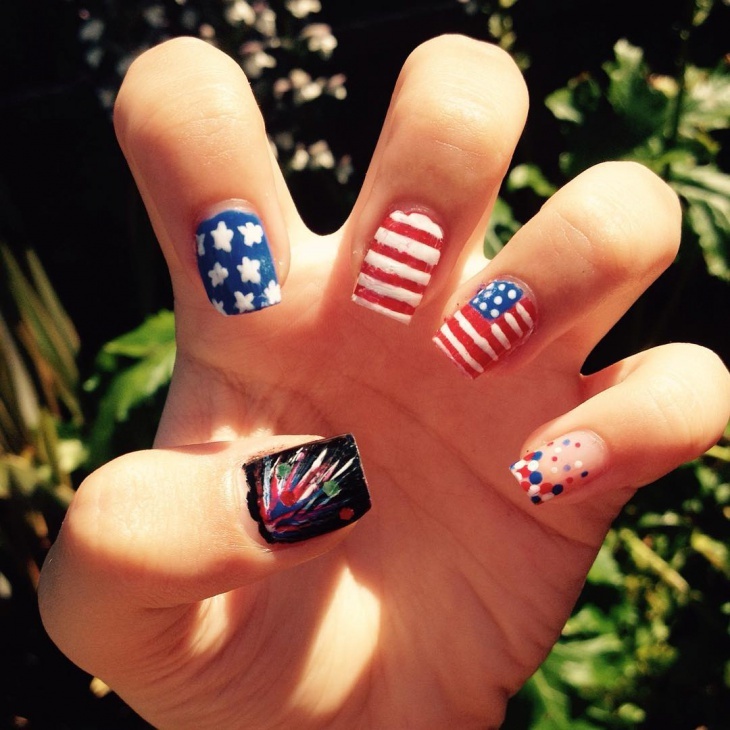 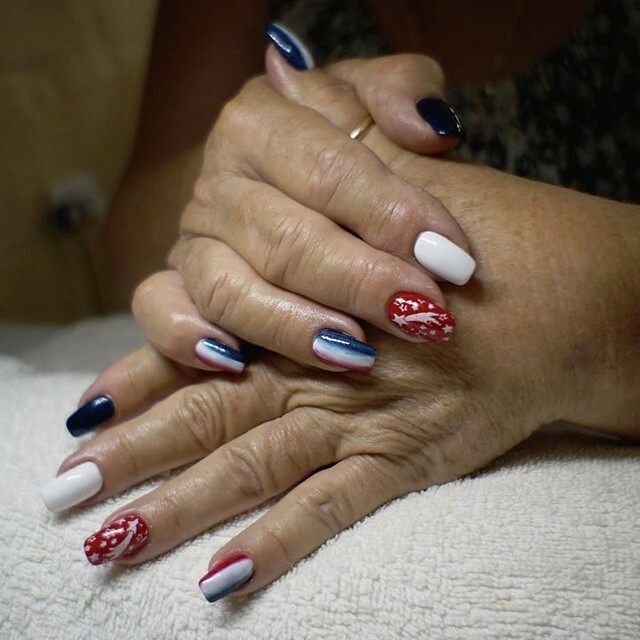 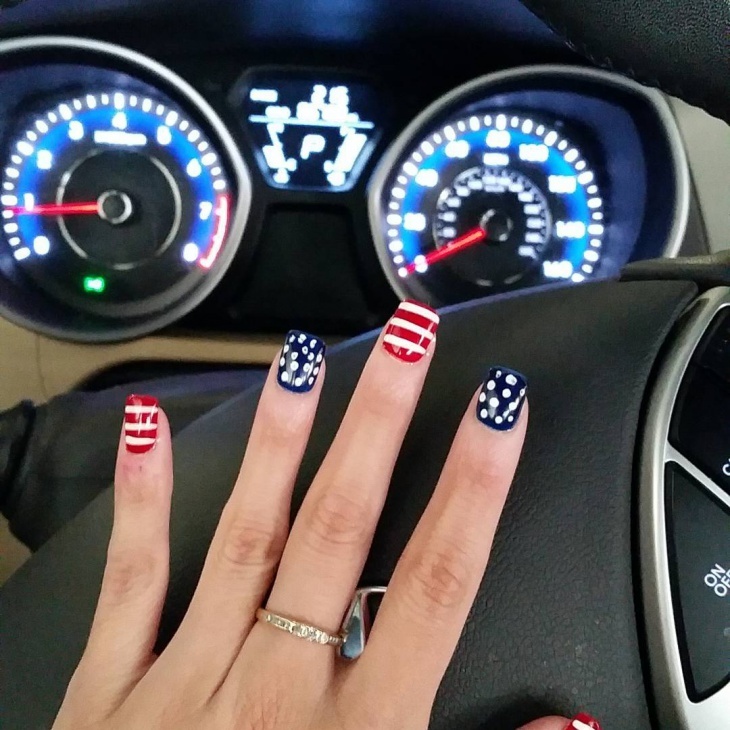 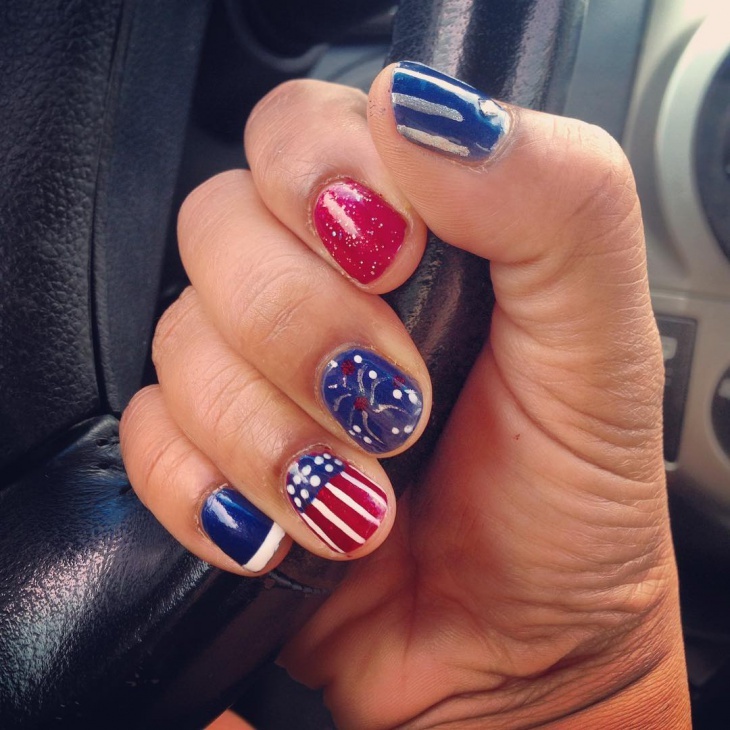 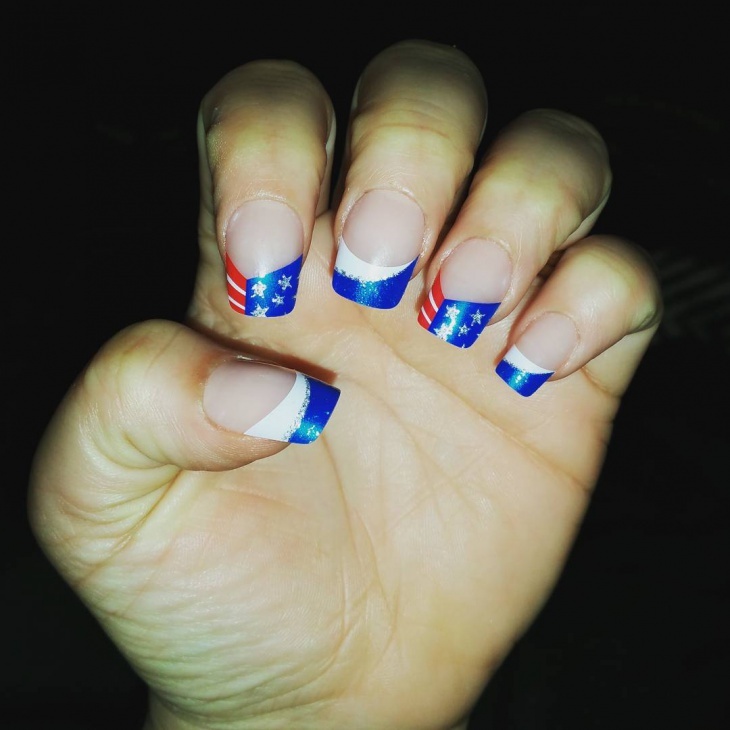 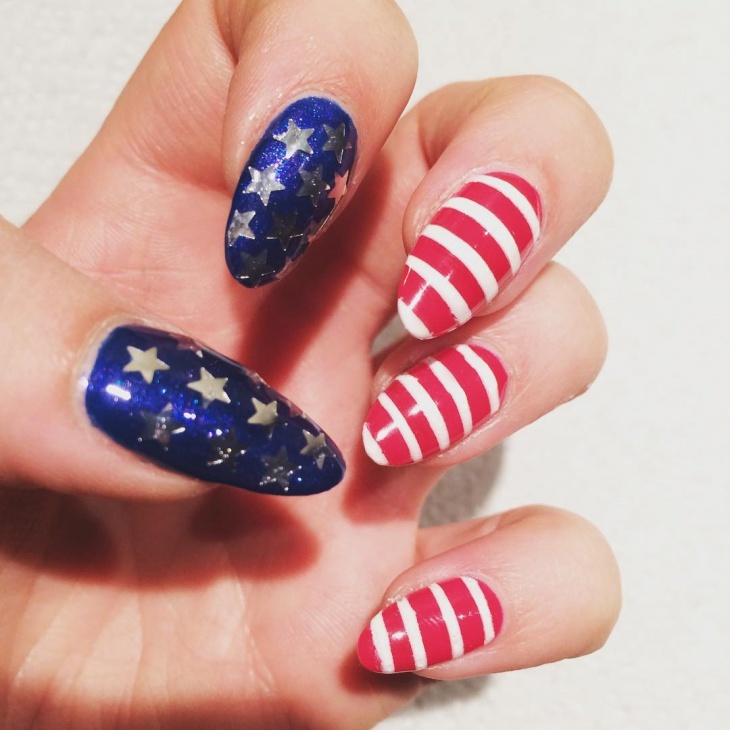 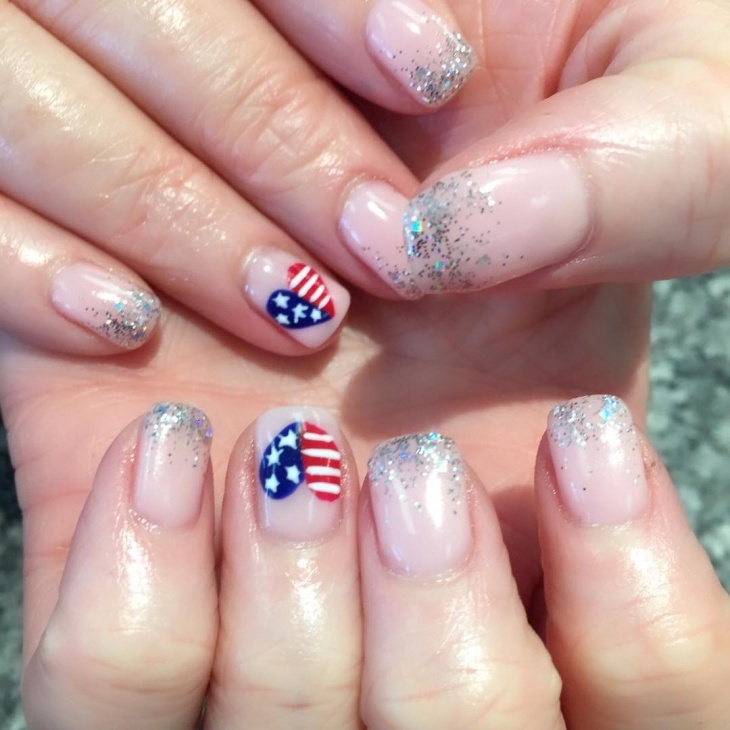 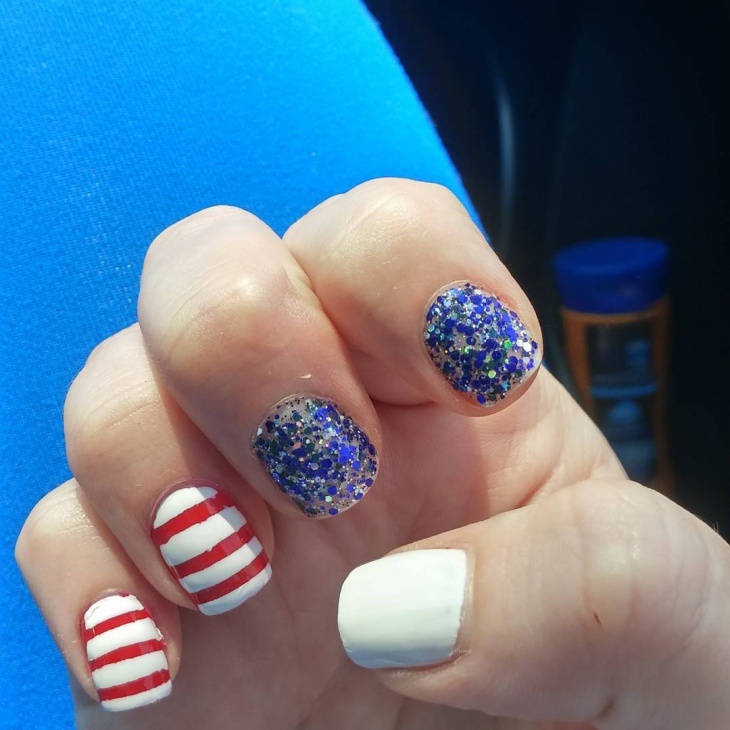 4th July is around the corner and American fashionistas are gearing up with various nail art ideas to celebrate their Independence Day. 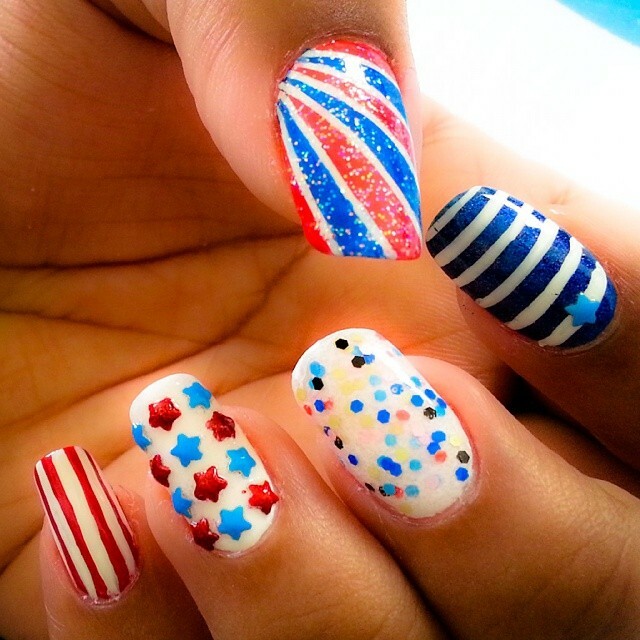 They are all ready to go that extra mile with crazy nail arts or rhinestones to express their sense of liberty. 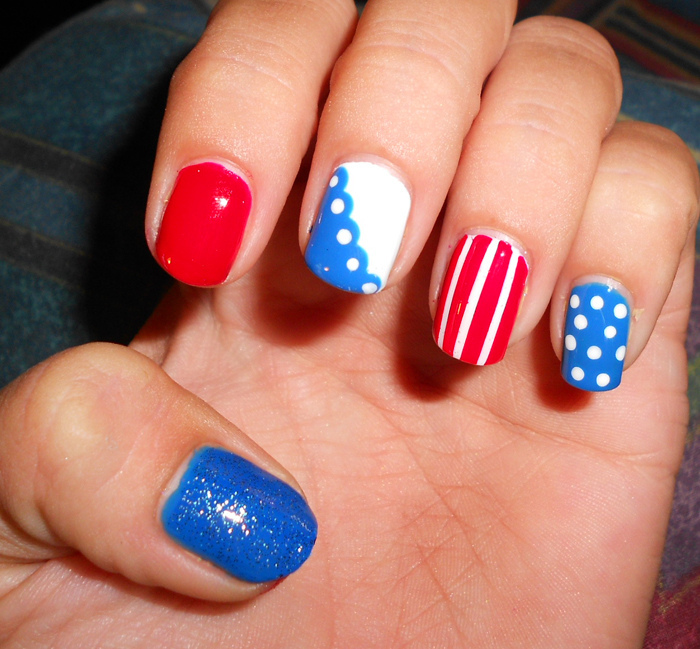 To flaunt your patriotic zeal amidst a 4th July fiesta, a simple flag rhinestone can be your easiest choice for the 4th. 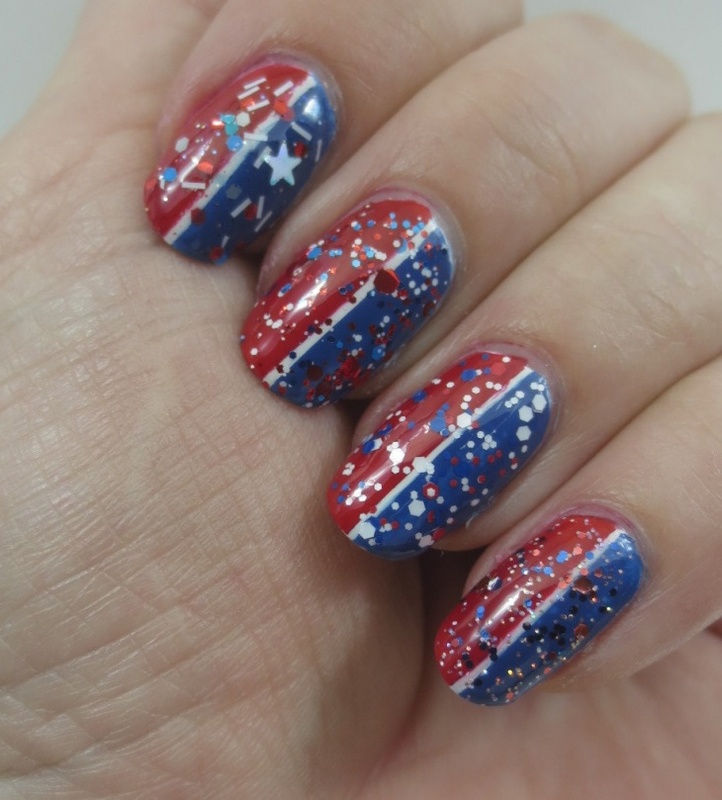 There is a galore of Independence Day inspired designs for decorating your nails to which you can give a personalized punch. 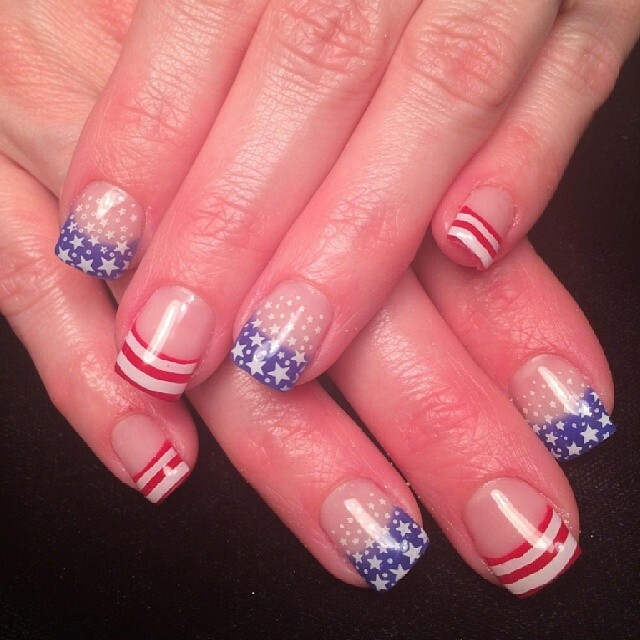 Instead of using white which contains in the flag of USA, a silvery touch can make you nails shimmer in the light. 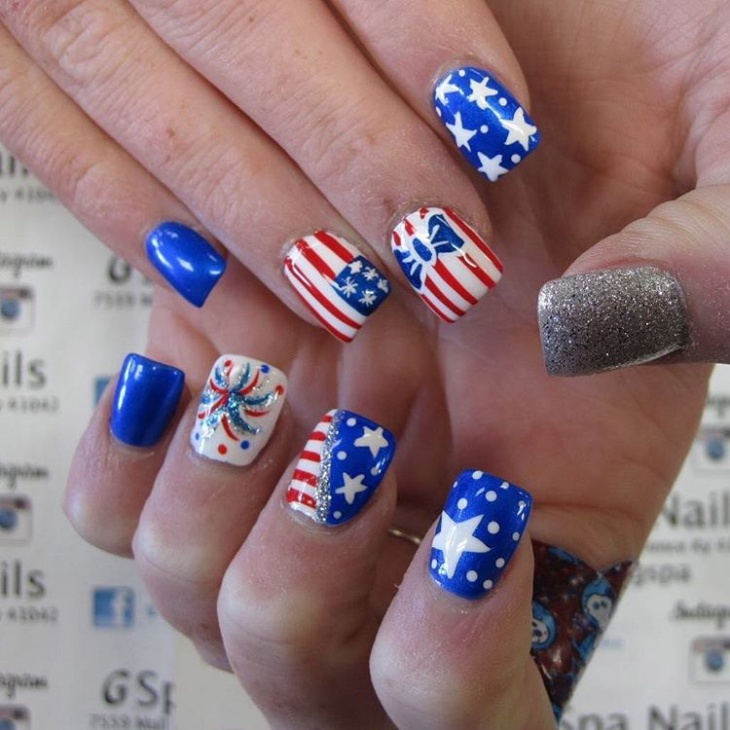 You can also try darker shades of either blue or red to bring a personalized twist in your 4th July and be a stunner among the trend followers. 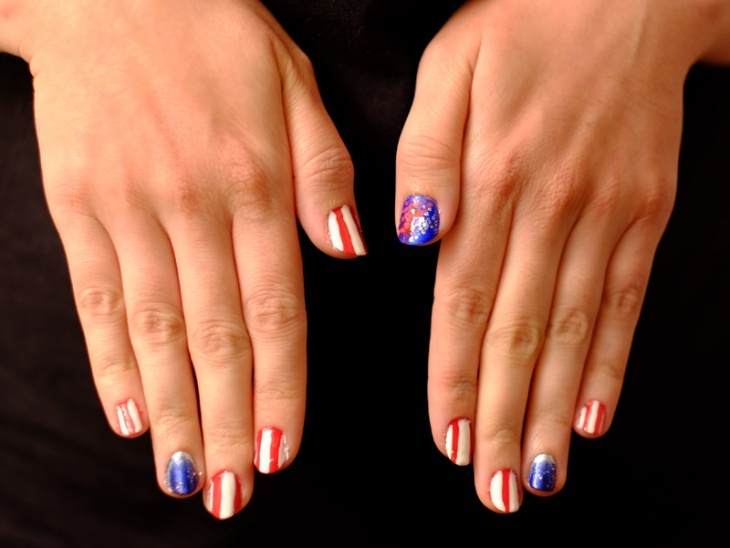 Instead of creating the American flag with different patterns, you can simply sprinkle the basic colours of the American flag i.e. 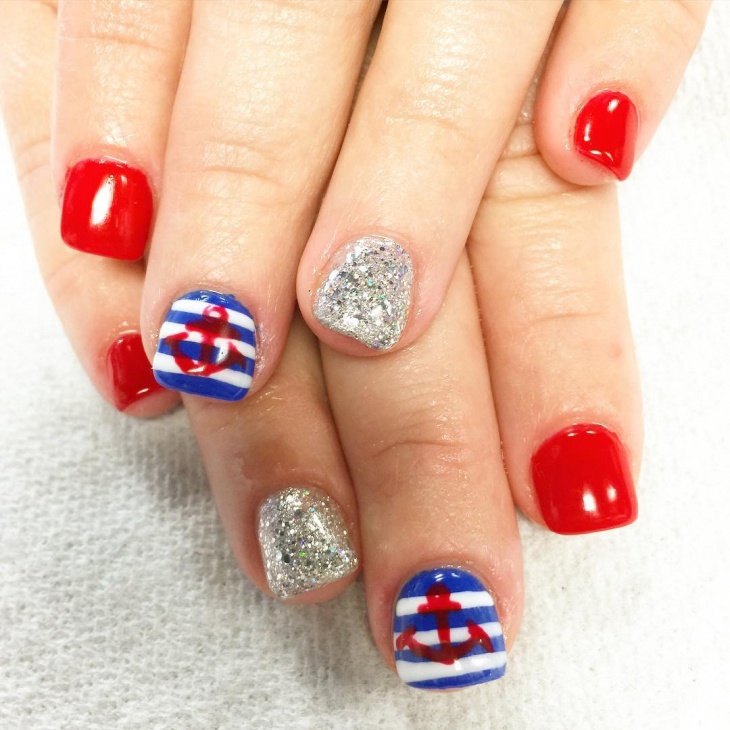 red, blue and white (which you can replace with silver) on any base coat and finish it up with a glossy nail lacquer to give a shining look. 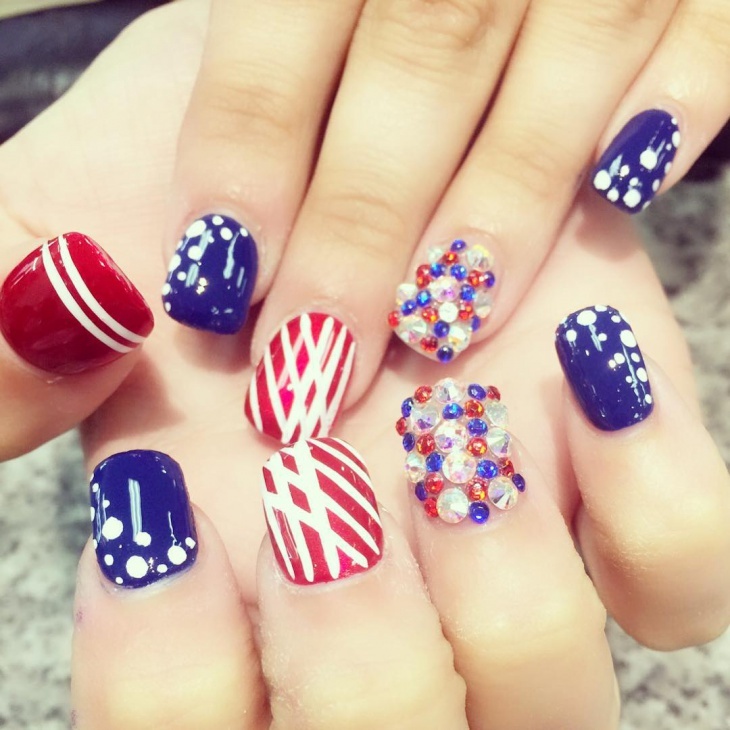 A half and half design on a white base with half stripped with red and the other half with blue stars will convey your patriotic zeal to the beholders with an aesthetic charm. 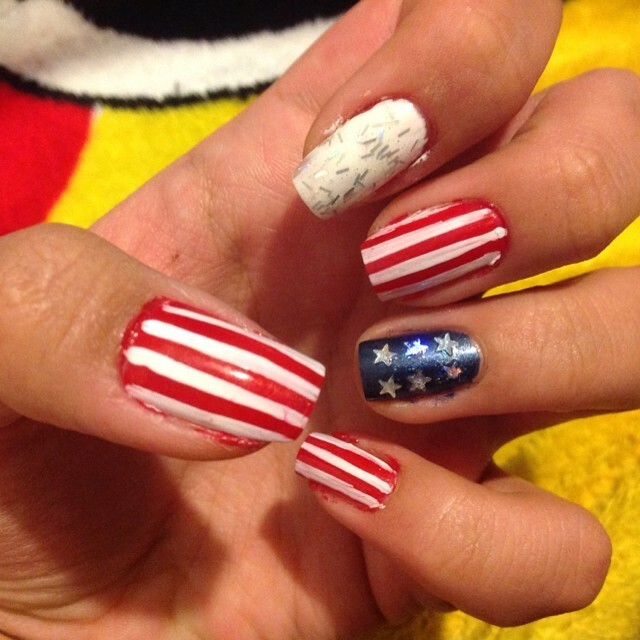 4th July being the independence day of the USA, is the time to go high with various unique ideas of expressing yourself. 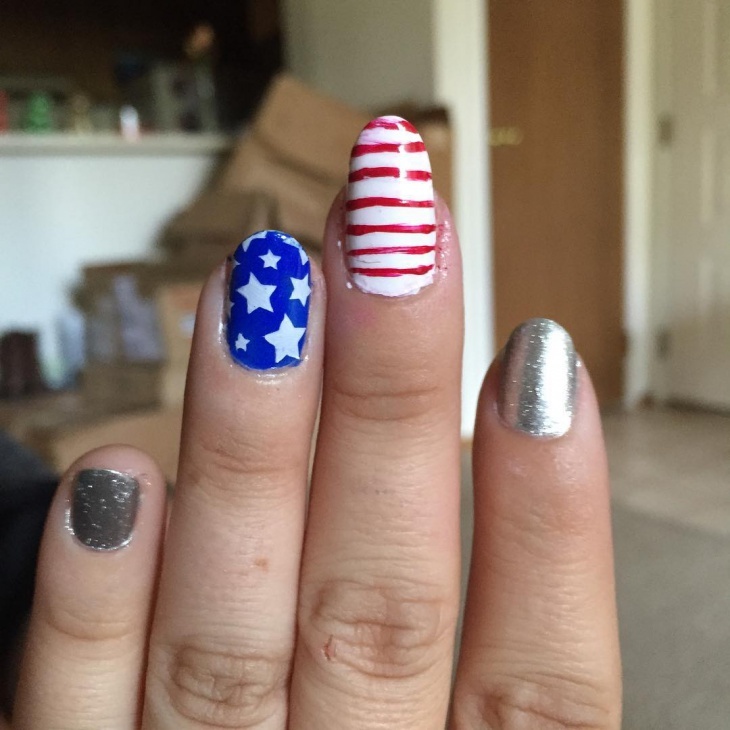 The first step to real freedom is your freedom of expression!